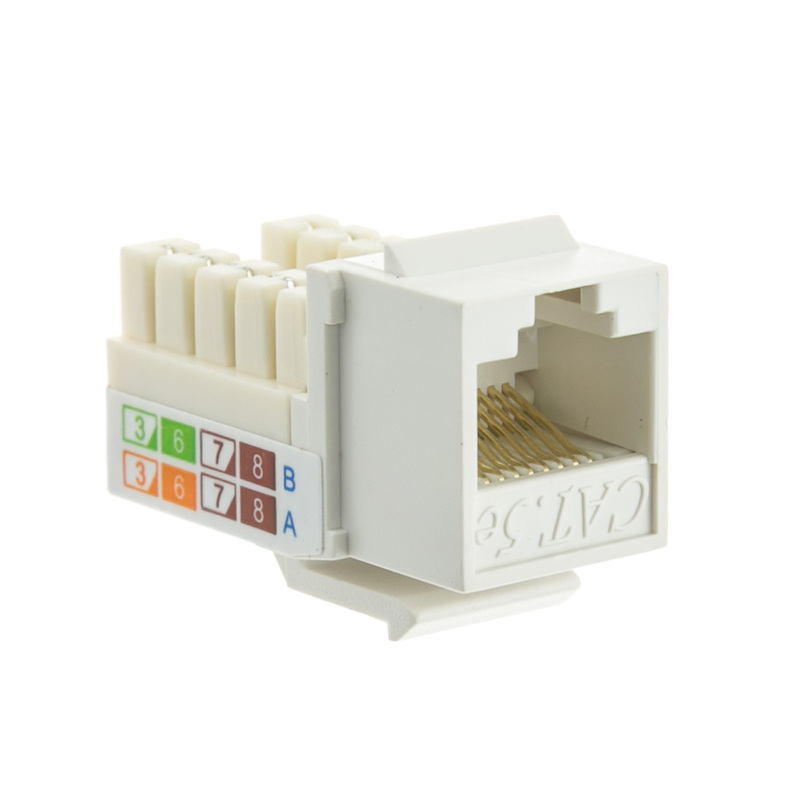 More Product InfoCableWholesale is proud to be your supplier of RJ45 female to 110 punch down keystones, and we have several excellent products to choose from. 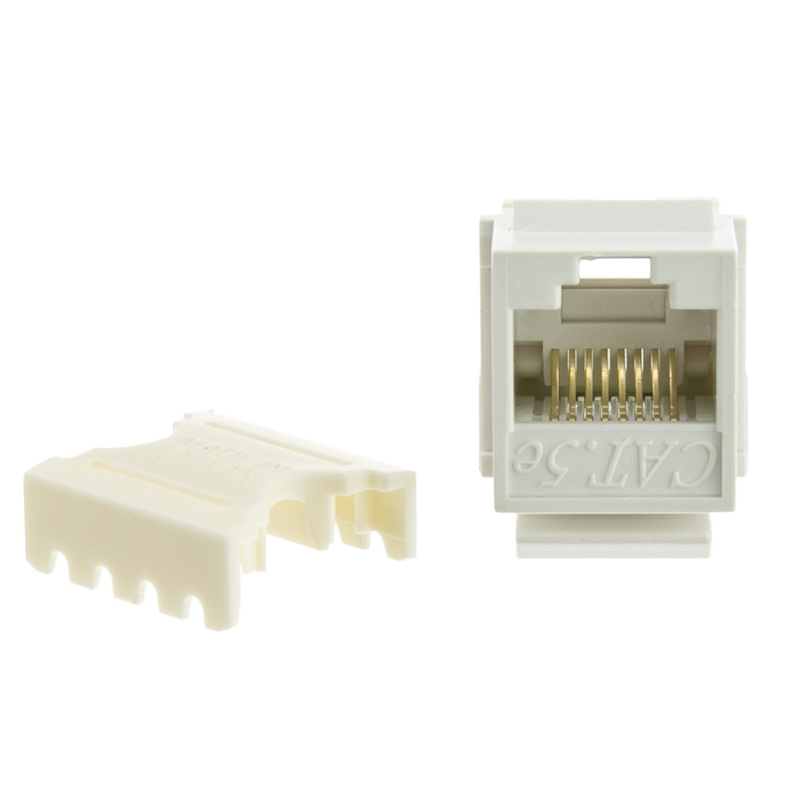 Our White Cat5e keystone allows you to make clean transitions by terminating network cable runs, and they work perfectly in any environment. 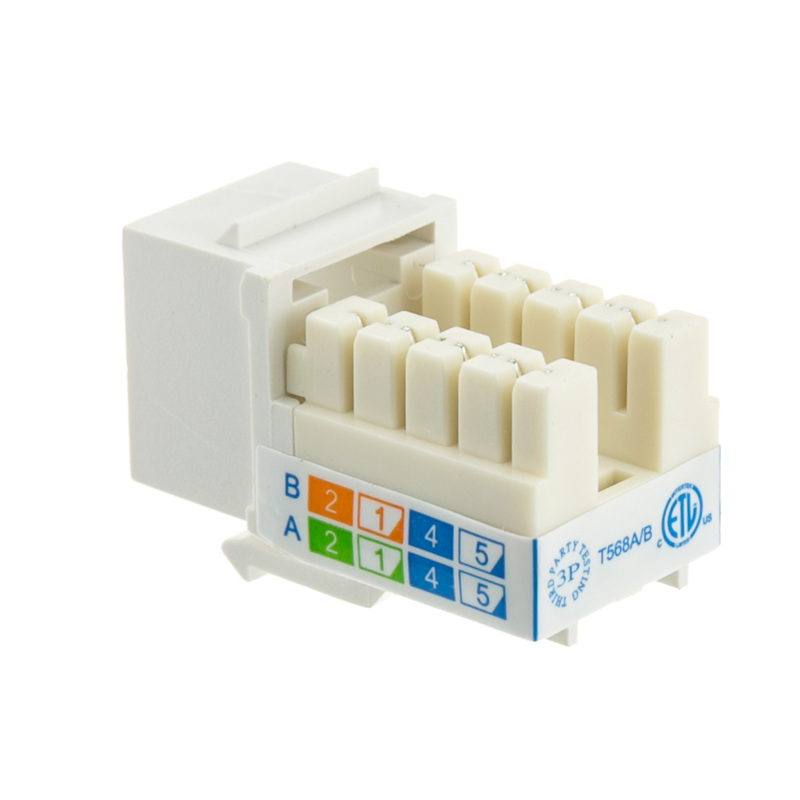 One of the best things about this keystone is that it is made with pure copper conductors and gold connectors, in addition to featuring thermoplastic ABS housing. 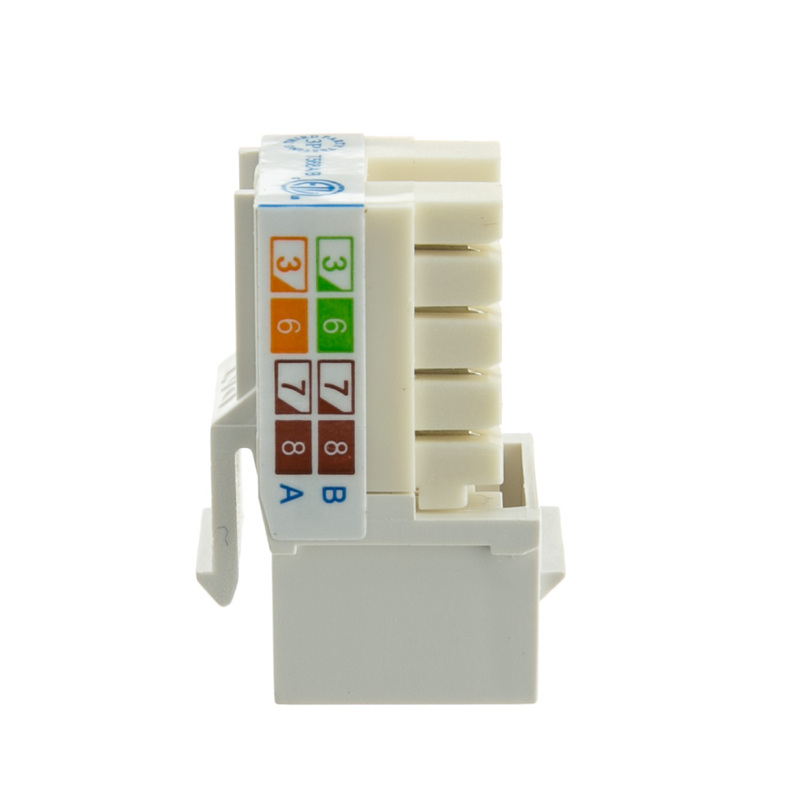 It not only meets, but exceeds, EIA/TIA-568-C standards. 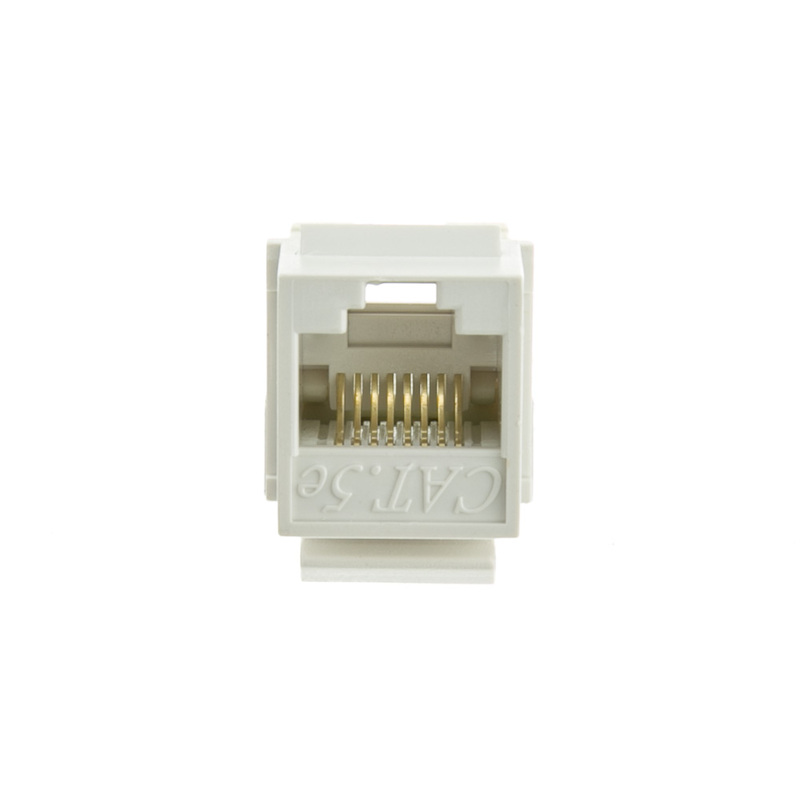 You can order the White Cat5e Keystone from CableWholesale today, and don't forget to browse the rest of our inventory. 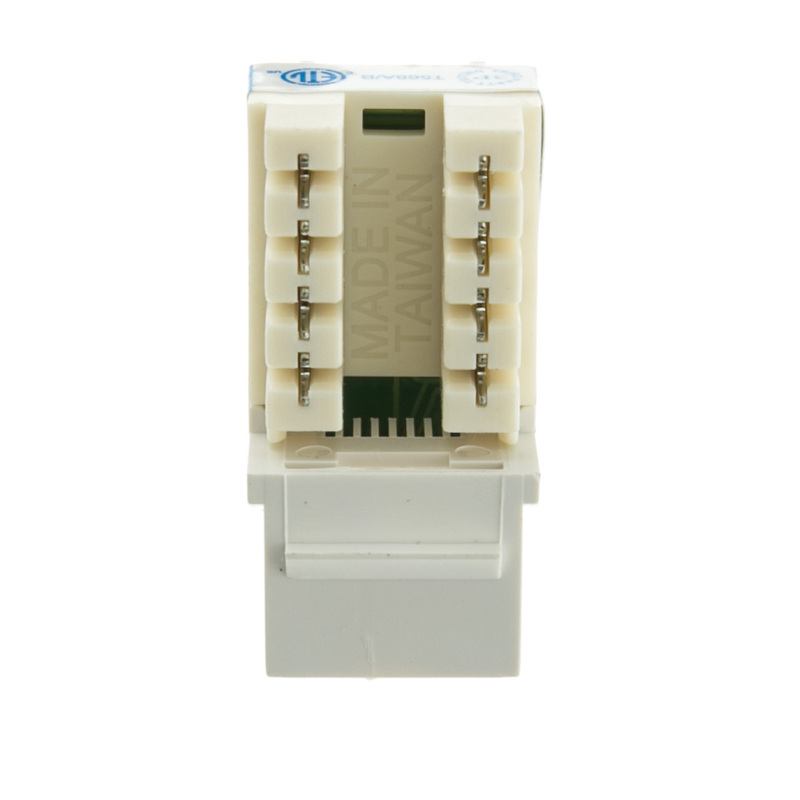 We offer a selection of compatible keystone patch panels, mount boxes, wall plates, and more. Please contact us if you would like any assistance, and thank you for choosing us for your networking needs! 50/50 worked. Great failure rate. These RJ45 connectors come in many colors and install in surface mount boxes or wall plates. They have color codes for 568 A & 568 B termination.